Beautiful result from some patient and painstaking effort on your part! Thanks for sharing this process. Thanks again for showcasing your restoration processes on all these fabulous Hamiltons! I'm a big fan. Thanks Michael for the info on the train. I did a little research to find out when diesel engines came into prominence and it seemed like they were around in the first quarter of the last century but the 1930's was really when they came into prominence. 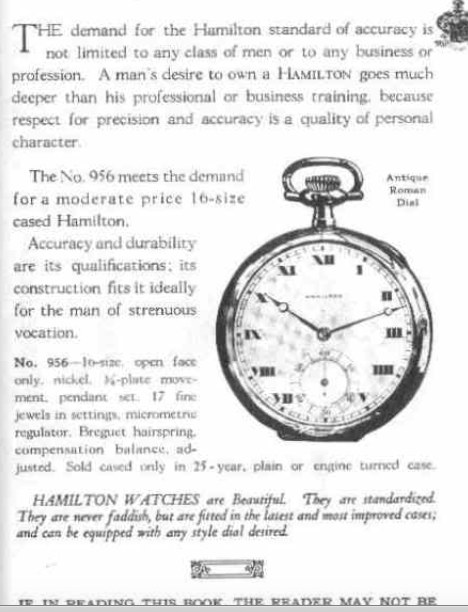 Of course, by the 1930's Hamilton's line up of Pocket watches was on the downswing. By the way, if you ever need a spare case back there's a perfect match available on Esty. Found it this morning while looking for something else. Odd coincidence.